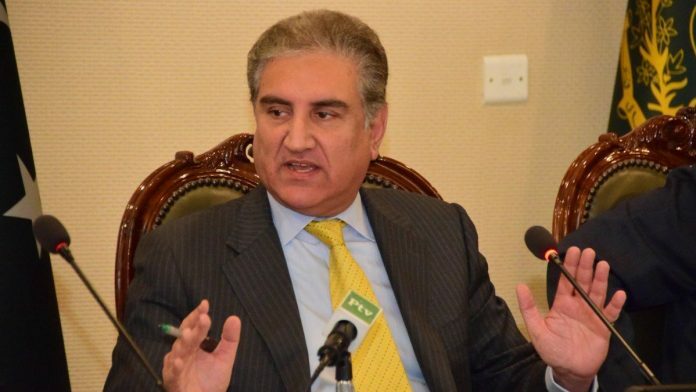 Pakistan foreign minister Shah Mahmood Qureshi on Tuesday said Pakistan has the right to give a suitable response in self defence to India's "aggression". Islamabad: Pakistan Foreign Minister Shah Mahmood Qureshi on Tuesday said India has committed “aggression” by violating the LoC and Islamabad has “right to respond”. His remarks came after combat jets of the Indian Air Force (IAF) bombed terror camps at multiple locations across the Line of Control (LoC) on the Pakistani side in a pre-dawn strike. Prime Minister Imran Khan was chairing an “important meeting” to discuss the situation, sources here said. India’s air strikes came 12 days after the Pakistan-based terror group Jaish-e-Mohammed carried out the Pulwama attack in Kashmir. In Islamabad, Foreign Minister Qureshi said India has violated the LoC and Pakistan has right to respond. “First, they committed aggression against Pakistan today. It is a violation of the LoC. I consider it a violation of the LoC, and Pakistan his right to give a suitable response in self defence,” he told reporters after an “emergency meeting” with high-level officials at the Foreign Office (FO) for consultations. Qureshi briefed Prime Minister Khan after the meeting at the FO. “Indian aircraft intruded from Muzafarabad sector. Facing timely and effective response from Pakistan Air Force released payload in haste while escaping which fell near Balakot. No casualties or damage,” Major General Asif Ghafoor, Director General of Inter-Services Public Relations (ISPR), the media wing of the Pakistan Army, said in a tweet. “Indian Air Force violated Line of Control Pakistan. Pakistan Air Force immediately scrambled. Indian aircraft gone back,” he tweeted. Senator Sherry Rehman, a leading opposition leader of the Pakistan Peoples Party, said that “Indian incursion” across the LOC is strategically “ill-advised and tactically pointless”. “Such moves only ratchet up tensions in a region bristling with anger. “Obvious that (Prime Minister Narendra) Modi’s election wardrums make prospects for talks collateral damage. India’s ruling party sees no other way to win the elections hence, itching for war,” Rehman said in a tweet.